Owned by its legendary founder, Ralph Lauren is an iconic American fashion brand built on an essential lifestyle promise. The Ralph Lauren brand has always been synonymous with high-quality American apparel. It started out with making rags into ties, which makes the fashion and lifestyle label a true rags-to-riches American Dream personified. A combination of rich American heritage, exquisite craftsmanship, eye for detail across all touch points across channels and high levels of quality in crafting and executing a distinct brand universe has provided Ralph Lauren with a unique identity in the very competitive and ever-changing world of fashion and lifestyle. In the 50 years since it was founded in 1967, Ralph Lauren has been credited with almost creating the quintessential American lifestyle. The brand has used classic designs as the core but has also evolved them in line with emerging trends. Revenues for the fiscal year 2017 stood at USD 6.7 billion, which was a decline of 10% compared to like-to-like revenues achieved for fiscal year 2016. At the end of fiscal year 2016, the company had 493 directly operated stores, which included 144 Ralph Lauren stores, 77 Club Monaco stores and 272 Polo Factory stores. The company has an estimated 23,000 employees across the world. In May 2017, the Ralph Lauren Corporation appointed Patrice Louvet as its President and Chief Executive Officer (CEO), replacing Stefan Larsson. Before joining Ralph Lauren, Patrice Louvet served as Group President of global beauty at Procter & Gamble. Ralph Lauren started off on a humble note by working out of a drawer in the Empire State Building in New York City and selling men’s ties under the tie manufacturer Beau Brummell. With this support, Ralph Lauren quickly expanded to a whole line of menswear which Lauren named “Polo”, paying tribute to his love of sports. In just 2 years, Ralph Lauren was awarded his own in-store shop in the Manhattan department store Bloomingdale’s for the first time. Riding on this early success, Ralph Lauren launched a full women’s collection and later opened his first store on Rodeo Drive in classy Beverly Hills – the first freestanding store for an American designer. Today, the Ralph Lauren Group manages a total of 17 fashion brands and 4 lifestyle brands across 493 directly operated stores in 30 countries. Ralph Lauren is most well-known for the Polo shirt from the oldest brand in its portfolio – Polo Ralph Lauren. The product lines of Ralph Lauren cover all areas of apparel fashion, including men wear, women wear, women’s watches and jewellery, children’s wear and sportswear. The distinct identity of a preppy, aspirational American look is so powerful that it is now defined as a key element of American fashion. With a multitude of sub-brands under the umbrella brand of Ralph Lauren catering to the needs of various market segments, Ralph Lauren has indeed become one of the strongest fashion brands in the world. Unlike the usual practices of branding that are normally seen in the consumer goods industry, the branding philosophy in the fashion and luxury goods industry is quite different. Most famous fashion houses like Christian Dior, Yves Saint-Laurent, Gucci, Versace, and Giorgio Armani were built on the personality of the founders. As design is the most important ingredient of fashion and luxury apparel, the individual style and personalities of these designers became crucial to creating and sustaining the brand strategy of each of the houses. The unique designs and patterns that reflect the personality of the creator gave the brand its identity and helped it in attaining a differentiated image. A majority of the differences between these fashion houses were also driven by the fact that the founders took up roles that influenced the creative vision and direction of the whole house (something similar to what Ralph Lauren is now doing). In the case of Ralph Lauren, the influence of its founders’ personalities on its products is evident in the emergence of the famous “Polo Bear”. The story goes that Jerry Lauren, Ralph Lauren’s brother and head of the menswear division at Ralph Lauren, was an avid collector of Steiff stuffed bears. In 1990, a tradition was started wherein colleagues presented a Steiff bear version of both Jerry and Ralph Lauren to each of them as a birthday gift. The bear was dressed preppy style, just like how Jerry Lauren dressed at the time. This preppy-dressed bear later became a brand mascot and made its way into stores as both the actual teddy “Preppy Bear”, and as a design icon that frequently started appearing on the brand’s products. The Ralph Lauren story is indeed a fascinating tale of how the persona and lifestyle of a brand’s founder has created and sustained a fashion brand for over 50 years and has made it a globally recognized icon of American lifestyle. Ralph Lauren is famous for his controversial opinions on fashion, which are epitomized in his quotes – “I am not a fashion person. I am anti-fashion. I am interested in longevity, timelessness, style”. Walking into any Ralph Lauren store, one will immediately notice that the majority of the apparel designs veer towards the classics – think clean-cut oxford shirts and basic polo shirts with the embroidered pony. The unwavering focus on classic designs, together with the Ralph Lauren brand name, the elegance of the stores and the luxury of the materials, have managed to capture precisely what consumers’ desire from a luxury brand. The Ralph Lauren brand, since its launch, has crafted and operationalized a strategy that directly taps into a blue ocean opportunity in the fashion industry – the balance between haute couture (sophistication) and classical lines (design and heritage). By successfully mixing a new age identity with classical designs, Ralph Lauren has maintained its appeal with a wide range of consumers. This has also allowed it to attract consumers from different age groups, and has allowed it to hold on to them as they have progressively aged. The balance of class and simplicity allows consumers to express their personalities by wearing Ralph Lauren. The design of its apparels starts on a blank canvas, allowing the consumer the flexibility to interpret and bring out his or her individual style in the final product. This effortless and clever design strategy has not only enhanced the Ralph Lauren brand identity, but has also allowed it to strengthen its equity in different market and product segments. Maintaining this balance between the classics and latest trends is not a one-off tactic for Ralph Lauren. It is built into the brand’s core. In September 2017, it announced that it would revive one of its coolest and most successful collections from the 1990s – the Polo Stadium Collection launched during the 1992 Barcelona Olympics (which was in turn inspired by the uniforms worn by American athletes in the 1920s and 1930s). The Ralph Lauren brand is created for a consumer that values quality, exclusivity, style, fine living and prestige. He or she appreciates the quintessential American look and timeless classics, and aspires to be respected and recognized for his or her wealth and sophistication. All these psychographic and behavioral characteristics are aptly captured in Ralph Lauren’s brand and marketing communications and across all consumer touch points. Ralph Lauren’s brand communications have always been best-in-class in painting an aspirational picture of American life. Starting in 1974 when it dressed every character in the hit movie “The Great Gatsby”, and continuing into its spreads in high fashion magazines and media campaigns today, Ralph Lauren always pays exquisite attention to the way in which its brand is being portrayed in the aspirational luxury segment. Ralph Lauren’s primary advertising mediums are print and events. Its movie-stills style of advertisements appear regularly in lifestyle and fashion magazines like Vanity Fair, Vogue, Cosmopolitan and Gentlemen’s Quarterly to name a few. It also participates frequently in prestigious fashion shows like the New York Fashion Show and Milan Fashion Week. Sponsorships are also an essential tool in Ralph Lauren’s communication strategy. It is currently the official outfitter for all on-court officials at both the Wimbledon and US Open tennis tournament, and the official parade outfitter for the US Olympic and Paralympic Teams. The Ralph Lauren brand has not been a laggard in the creation and implementation of digital and mobile marketing strategies. As digital and social media marketing increasingly became critical platforms to engage with consumers in the fashion and luxury space, most of its marketing efforts today are focused on digital and social media. These efforts have seen considerable success by being innovative and highly customer-centric. For example, Ralph Lauren publishes its own editorial content in its RL Magazine – a clever way to advertise by providing useful fashion content to consumers. In 2009, Ralph Lauren launched the Make Your Own Rugby iPhone mobile application, allowing customers to select a blank shirt, polo, sweater or jacket and customize it with distinguished crests, football-themed patches and letters. As children’s wear forms quite a substantial proportion of Ralph Lauren products, the brand has also invested in a children’s virtual storybook through a series of online videos titled “The RL Gang”, where clothes featured in the videos can be ordered in real-time. Despite the drastic and disruptive changes in advertising mediums over the years, the themes in Ralph Lauren’s advertising have been consistent throughout. They are largely focused on family, romance, and elegant living with a huge representation of the polo player, symbolizing refinement, affluence, esteem and style. This consistency in brand communication has paid handsome dividends for the brand in terms of positive consumer perception on the brand’s reliability. Ralph Lauren follows one of the fundamental principles of brand building to the core, which is about having consistency in brand messages and positioning over a long term. In February 2017, Ralph Lauren hired its first Chief Marketing Officer (CMO), Jonathan Bottomley – showing its commitment at CXO/ Board level towards the creation of a more cohesive brand communication strategy and stronger focus towards the measurement of its communication effectiveness. With a CMO in place, Ralph Lauren hopes to achieve greater alignment between marketing efforts and corporate strategy, and a stronger customer focus in both strategic and tactical initiatives. Ralph Lauren always had a long-term vision in shaping its product portfolio. It has always been important for the brand to link its different apparel and accessories lines under a single cohesive identity. The brand is currently going through a difficult time with decline in revenues and the need for optimisation of its operations. It has now become even more important for the brand to ensure that its product portfolio works together and portrays a consistent and credible image for the brand. It is also exploring opportunities to broaden its product lines and also venture beyond fashion. Regardless of the outcome of these initiatives, it is important for Ralph Lauren to ensure that the expanded product portfolio still has a strong link with the iconic parent brand. Ralph Lauren has always enjoyed success due to positive consumer perceptions of its classic designs, high quality and premium image. It has followed an expansion strategy using the same core credentials into other fashion segments. The Ralph Lauren brand architecture has always been a topic for branding discussions as the architecture is constantly optimized to maximise the Ralph Lauren brand equity. Because of this executives do not hesitate to kill sub-brands that do not perform well – some examples of sub-brands that have left the portfolio are Ralph Lauren Black Label, Ralph Lauren Blue Label and Ralph Lauren Rugby. As of February 2017, the Ralph Lauren brand portfolio comprises of 17 fashion brands, each differentiated by a different line of apparel with specific targeting towards different marketing and consumer segments. Polo Ralph Lauren: This is Ralph Lauren’s first complete line of men’s Polo shirts, sportswear and tailored clothing. Launched in 1968, it is the oldest brand in the portfolio and continues to be top-of-mind in the men’s luxury casual and sportswear markets. It now offers accessories including eye wear, handbags, hats, scarves, gloves, belts and small leather goods as well. Ralph Lauren Collection: The Ralph Lauren Collection is Ralph Lauren’s highest end brand launched in 1971. Timeless and sophisticated, it is a line of women’s clothing that ranges from handmade evening gowns and tailored blazers to luxury sportswear. With its high price point, it targets the fashion-conscious and refined lady. Polo Golf: Launched in 1987, Polo Golf combines Ralph Lauren’s love for sport and a luxury lifestyle. It offers state-of-the-art golf apparel including custom-fit mesh polo shirts, stretch shorts and that aims to enhance a golfer’s swing. Polo Sport: Launched in 1992, this is Ralph Lauren’s line of high-performance active wear, targeted at athletes and fitness junkies. 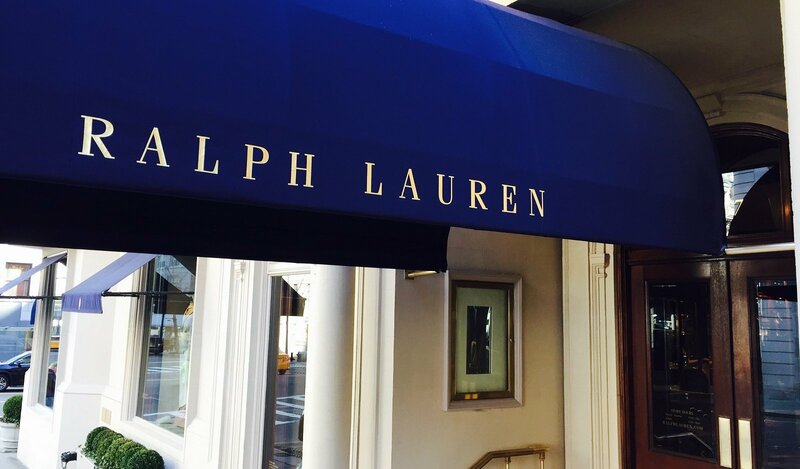 This brand showcases Ralph Lauren’s dedication to innovation. In 2014, it ventured into smart wearables and showed the world its first PoloTech™ shirt – a men’s shirt with cutting-edge silver fibers woven directly into the shirt and a small sensor-filled black box attached near the ribcage to collect real-time biometric stats like steps taken and heart rate. Double RL (RRL): This brand was named after Ralph Lauren and his wife Ricky’s ranch in Colorado (hence the “double R”). It was launched in 1993 and offers rustic-styled apparel inspired by the independent, hardworking spirit of the West – including denim, military-grade chinos, sweaters, flannels, vintage accessories and leather goods. Ralph Lauren Purple Label: This is the upscale couture line of Ralph Lauren that was launched in 1994. It offers refined and custom-made tailoring for men’s tuxedos, suits, and sportswear, including Polo shirts made from luxury two-ply long-staple cotton. Lauren by Ralph Lauren: This was Ralph Lauren’s line of women’s clothing priced at a more accessible point, aimed at the modern, everyday lady. It was launched in 1996 and offers a large range of apparel, bags and accessories, from sophisticated work dresses to swimwear to sleepwear. Ralph Lauren Golf, RLX and RLX Golf: These collections were launched in 1998 and offers ultra-modern, graphic, performance-driven golf apparel, including progressive fits to sophisticated styles to technologically advanced fabrics. It is targeted at younger golfers who want to look trendy. Ralph Lauren Golf offers golf apparel for ladies while RLX Golf offers golf apparel for men. RLX offers clothing and outerwear built for general outdoor sports such as tennis, golf, skiing, sailing and hiking. Club Monaco: This Canadian-based specialty retailer which sells designer lookalike casual apparel for both men and women was acquired by Ralph Lauren in 1999. This was a growth strategy that aimed to provide a venue of choice for youth aged 15 – 25 who aspired towards well-fitted, fine clothing with modern, urban sophistication. Pink Pony: Established in 2000, the Pink Pony campaign is a global initiative that was set up to show support towards cancer victims. A proportion of Pink Pony product sales goes towards the Pink Pony Fund and other large cancer charities across the world. The Pink Pony brand comprises of women’s sportswear and shoes crafted in luxurious fabrics, all of which feature the pink Polo player logo, demonstrating the company’s commitment towards the battle against cancer. Polo Ralph Lauren Children: This collection is designed to reflect the timeless heritage and modern spirit of Ralph Lauren’s men and women collections. It is subdivided into Boys (sizes 2-7 and 8-20), Girls (2-6X and 7-16), Big Kid, Little Kid and Baby (Boy and Girl). It offers a variety of clothing from t-shirts and dresses to overalls and loafers. American Living: Launched in 2008, American Living was bought over by Ralph Lauren. The brand is available at department stores Macy’s, Belk and JCPenney and offers classic, all-American collections including men’s, women’s and children’s apparel, and home goods. The brand’s pricing is aspirational yet accessible. Ralph Lauren Watches and Fine Jewelry: Launched in 2009, the Ralph Lauren Watch & Jewelry Co. introduced a premium collection of timepieces that are inspired by the image of prestige and sophistication that the Ralph Lauren brand has evolved to represent. This sub-brand has now expanded to include collections inspired by luxury lifestyles – including the Stirrup Collection inspired by the equestrian lifestyle, and the Automotive Collection inspired by Ralph Lauren’s passion for classic car designs. Denim & Supply Ralph Lauren: As its name suggests, this sub-brand that was launched in 2011 offers mainly denim-based and casual apparel, including loose sweaters and plaid. It was born in Brooklyn, New York, and is inspired by the style of artists, painters, musicians and poets who inhabited there. With its lower price point and accessibility, it targets the younger crowd who is less interested in luxury and refinement. Chaps: This brand is similar to the Lauren by Ralph Lauren brand, and offers casual sportswear and dresses at a slightly lower price point. It draws on authentic inspirations, from nautical styles to American vogue, and offers apparel for men, women and children as well as home accessories. Ralph Lauren Home: This home furnishing and accessories brand reflects the style and craftsmanship aligned with Ralph Lauren’s brand image. It offers furniture, bed and bath linens, china, crystal, silver, decorative accessories, gifts, lighting, fabric, wall and floorcovering, and photography artwork. Ralph Lauren Pet: Extending Ralph Lauren’s style into pet collectibles, this brand offers dog vests, sweaters, hoodies, parkas, coats and leashes, all with the signature embroidered Pony logo, for discerning pet owners. Ralph Lauren Fragrance: The Ralph Lauren Corporation launched its first fragrances in 1978 – Lauren for women and Polo for men. Today, it has expanded into a variety of 10 fragrances for men, 9 fragrances for women and 3 unisex fragrances. Ralph Lauren Restaurants: To date, Ralph Lauren owns three restaurants and a café – the RL Restaurant, Ralph’s, Ralph’s Coffee and The Polo Bar. The RL Restaurant was opened in 1999 just across from the world’s largest Polo store, the Chicago Flagship on Michigan Avenue, and represents the setting of foot by Ralph Lauren into the restaurant industry. Just like how its fashion brands are strongly inspired by Americana, the food is inspired by American classics and modern city-club cuisine – think seafood, steaks, chops, sandwiches and salads. First-time diners can also expect to be treated as a member in its unique club atmosphere, reflecting the brand’s impeccable attention to service. In 2010, it opened Ralph’s in Paris, offering all-American experience to lovers of American food in Paris. The menu even offers beef from Ralph Lauren’s Double RL ranch in Colorado. In 2014, it opened its first coffee shop on the second floor of the Polo Ralph Lauren flagship store in Manhattan. In 2015, it opened The Polo Bar in the heart of New York, offering a more casual yet refined setting for food and drink. Food is inspired by Ralph Lauren’s personal favourites, and waiters are decked in custom Ralph Lauren grey flannel trousers, leather wingtips and silk repp ties. The RL Restaurants are indeed a great way to present another channel for consumers to experience the Ralph Lauren brand, rather than just its fashion and home products. Through extending into multiple product categories, Ralph Lauren has been able to leverage its brand equity to have a presence in these lucrative sectors. 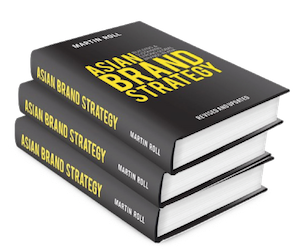 It is truly a success story of classic brand management – appealing to a broad category of discerning, fashion conscious consumers through holistic brand equity encompassing multiple categories combined with a high-quality product experience. Brand architecture management: Strong brands provide companies with a very powerful tool to enter newer markets with limited investment, by leveraging their strong brand equity. It provides companies with opportunities to create multiple revenue streams. Therefore it is not a surprise that most strong brands have leveraged their equity and extended into newer product categories, newer markets, and newer market segments. However this strategy has its own pitfalls. One of them is the risk of dilution of brand equity by over-stretching the brand into too many product and market segments. Some examples of brand equity dilution due to overstretch are those of Calvin Klein and Pierre Cardin. One of the many reasons that these brands diluted their equity was the use of the brand name on a very wide range of products. By franchising their brand names to almost every conceivable product category, the brands significantly diluted their equity. This was because of a simple reason – a brand cannot have transferable equity in different product categories. The further the category is from the brand’s home, the weaker would be the perceptions and higher would be the negative impact on equity. In the last 50 years, the Ralph Lauren brand has expanded to create a diverse portfolio of sub-brands, of which 17 are fashion brands and 4 lifestyle brands. With such a burgeoning portfolio, Ralph Lauren has to be more focused and careful about managing and maintaining the equity of the master brand. It also becomes more complex to maintain a consistent brand personality across all marketing and communication efforts, especially when the sub-brands do need to talk to different consumer segments (who in turn have different and discerning needs). Over the long term, the performance of acquired brands also needs to be analyzed in isolation and also in relation to the wider portfolio. In continuation of its strategy of expanding into categories that have synergies with high-end fashion, Ralph Lauren may keep on exploring opportunities. With the master brand already quite stretched, it would need to take these decisions more carefully. Whatever category the expansion is into, and regardless of whether it is via an acquisition or through the launch of a new sub-brand, Ralph Lauren would need to ensure that the spirit of the brand lives through in a holistic manner. Additionally, the integration of new sub-brands or acquired brands into the architecture of the portfolio will always remain challenging. Store profitability and inventory management: Another challenge that Ralph Lauren faces is store profitability and inventory management. This has had an effect on its bottom-line. Revenue for Q2 FY2017 has dipped 8% compared to the same period in the previous year. As such, new management has expressed that it has plans to close about 50 high end stores to improve store profitability and reduce inventory as most of the inventory was subject to heavy discounting. Given that customer insights are the holy grail of modern business, the more companies know about their customers, the better they can innovate and compete. One very good example of a company that has successfully leveraged its customer research capabilities to improve inventory management is Zara. One of the secrets of Zara’s success is that the brand trains and empowers its store employees and managers to be particularly sensitive to customer needs and wants, and how customers enact them on shop floors. This has allowed them to accurately supply fashion that resonates with customers in almost perfect quantities, resulting in the discounting of a very small proportion of its products, approximately half compared to its competitors – a very impressive feat. Similarly, Ralph Lauren needs to also do the same and consider how it is using its customer intelligence capabilities to anticipate demand more accurately and respond with optimum levels of supply. Leadership and management structure: The founders’ dilemma is a classic phenomenon for any company, which is originally built by a strong and charismatic founder and leader. As the main competitive advantage for the company is the founder himself, life after the founder is a hard topic for both the founder and company to discuss. Moreover, when a company’s success and survival depends tremendously on the existence of a single person, it is vital for the company to take proper action from an early stage so that proper leaders can be nurtured within the organization. Ralph Lauren himself has a net worth of USD 5.3 billion as on February 2017, compared with the corporation’s net worth at USD 7.4 billion. With regard to corporate governance, as the brand continues into a new chapter, the search for a new CEO has ended. Stefan Larsson was appointed CEO of the company in September 2015, succeeding Ralph Lauren himself who is now the Chief Creative Officer. However, due to differences in opinion over direction, Stefan Larsson departed from the company in May 2017. Patrice Louvet was appointed as President and Chief Executive Office immediately after the departure of Stefan Larsson. The brand’s charter into its next 50 years will depend on the capability and experience of the current CEO and his relationship with Ralph Lauren (who still wields considerable influence over the operations of the organisation and its long-term strategy). Apart from this, David Lauren, the founder’s second son, stepped up in 2016 as Chief Innovation Officer and Vice Chairman of the Board. David Lauren joined Ralph Lauren Corporation in 2000 as Chief Creative & Marketing Officer and has been credited for several of the brand’s digital campaigns and online innovations, including Ralph Lauren Magazine, Ralph Lauren TV and ralphlauren.com, one of the first e-commerce websites within the luxury space. It seems like leadership has indeed put in place a solid leadership transition plan to ensure the brand and company’s business continuity. In a bid to make Ralph Lauren a leaner company, the company has recently eliminated layers of management through restructuring. For instance, the office of the chairman has been eliminated and the duties have been absorbed. It is expected that this will help improve efficiency within the organization, hence leading to greater profitability. Another growing challenge that Ralph Lauren may face is to be able to appeal to a new generation of consumers. To sustain the brand appeal to consumers who are now more digital savvy and have higher expectations in the 21st century, there are a few important issues that Ralph Lauren needs to tackle in the next 3-5 years. Product appeal: In the luxury fashion industry, high quality design and its consequent appeal are the primary influencers over consumers’ purchase decision. Ralph Lauren needs to stay close to its customers’ evolving needs and tastes around fashion and also ensure that its product lines and stores address these needs. The need for product line optimization has already been recognised. As part of the most recent restructuring exercise, a decision has been taken to reduce the number of lines the brand produces. The focus will shift back to Ralph Lauren’s core product lineup, which includes Polo shirts, blazers, military jackets, and motorcycle jackets. Ralph Lauren has plans to venture into the accessories space, which includes handbags and small leather goods to leverage its brand equity and also hedge the brand against the strong headwinds running through the global fashion industry. A great example of a luxury fashion brand that has leveraged its strong brand equity and ventured into multiple product categories is Giorgio Armani. By leveraging its expert knowledge of the fashion and luxury industry, Armani has been able to come up with winning concepts in other product lines that include cosmetics, watches, jewellery and eye wear. Instead of blindly experimenting with product categories, Ralph Lauren should conduct an expertise and capability check, which will help it identify the categories where it can extend the brand (and showcase expertise and deliver using existing operational capabilities). Innovation: As Peter Drucker said, innovation and marketing are the only two functions of any organization. Irrespective of how committed employees are or how competent top management is, unless the company connects with the customer, success will always be elusive. Top management needs to constantly evaluate their strategic decisions in the context of customer feedback and how the customers can help the company in co-creating value. Innovation is therefore a key factor that will strongly influence the future of the Ralph Lauren brand. David Lauren seems to be doing the right things, with the brand witnessing some groundbreaking innovations under his leadership, in the areas of product development, customer experience and stakeholder engagement. On the product front, Ralph Lauren has introduced the Ricky Bag with Light, which features a discreet rechargeable battery that powers an internal LED light in the bag to help locate personal items. A USB port in the bag also helps to charge mobile devices. Under David Lauren’s leadership, it has also launched the PoloTech shirt. In terms of customer experience, Ralph Lauren has launched interactive fitting rooms with full-sized touchscreen mirrors at the Polo Flagship store in New York, creating a seamless digital in-store experience and enhancing the overall customer experience. Customers can now adjust the lighting and language, and select clothes, colour options and sizes just by tapping on the mirror. They can also view suggested pieces, ask for a sales associate, or pay on the spot. On the stakeholder engagement front, Ralph Lauren has launched RL Insiders, a mobile application that allows a select group of people to become the company’s trusted advisors, contributing to the development of Ralph Lauren’s products, marketing ideas, services and the brand. David Lauren has also been credited for the innovative launch of “The RL Gang”. Moving forward, Ralph Lauren needs to also recognize that each innovation has as relatively short lifespan. Once other competitors adopt an innovation strategy, it is no longer considered “innovative”. Therefore, Ralph Lauren needs to constantly invest heavily in R&D, innovation and technology as an integrated part of the business strategy, to meet and exceed customer expectations. Mobile commerce: Being the first luxury brand to set foot into e-commerce, it seems strange that the brand has not offered a mobile shopping platform yet. Currently, it operates two e-commerce sites in the US and eight sites internationally. Different forms of market analysis strongly point towards a scenario wherein spends on mobile commerce will overtake desktop based ecommerce in the next 3 years. On an average, most brands get about 15-20% of their website traffic via mobile devices and this is growing rapidly. With the deluge of investments that fashion companies have planned in the mobile commerce space, Ralph Lauren needs to quickly make mobile shopping not only an effortless experience but also a delightful one. A sustainable approach to business: In recent years, sustainability in business has become a hot topic. Although social and environmental efforts may not be a key factor for consumers to choose a particular brand, not having societal considerations while doing business could be a reason for consumers to avoid the brand. Ralph Lauren understands this, evident from its numerous corporate social responsibility efforts. The Pink Pony sub-brand was a global campaign to show support for breast cancer victims. The opening of a Ralph Lauren Centre for Breast Cancer Research at the Royal Marsden is another contribution towards the battle against cancer. In terms of environmental efforts, Polo Factory Stores in the US sell green pony tote bags with 100% of profits from the sale donated to the global clean water non-profit Waterkeeper Alliance. In order to be at the leading edge of its industry, it is essential that Ralph Lauren continues its corporate social responsibility work. Reacting to consumer sentiment and trends: With the internet and social media, consumers have never had greater power in influencing brands than before. Today, consumer sentiment plays a greater role in advertising and brand communication than ever before. Consumers are able to and are forthcoming in expressing their views on issues in the fashion industry, including body image and feminism. It is common for brands in the fashion industry to use slim models and retouch fashion images which often leads to unrealistic depictions of the female body. This has sparked a global outcry, with consumers questioning the impact these images have on impressionable youth, causing them to experience issues with body image and self-esteem. Brands who engage in such unethical practices are punished with consumer boycott and law enforcers. As Warren Buffett’s famous quote goes: “It takes 20 years to build a reputation and five minutes to ruin it”. Being in this industry, Ralph Lauren needs to be careful with its brand communication and advertising practices, and be aware of what their customers like or do not like. The Ralph Lauren brand was set up from the start to be all about the American lifestyle. From the designs of its apparels and accessories, to the dining experience offered in its restaurants, the Ralph Lauren brand stands as a symbol of America – an amazing feat for a brand that has only been around for 50 years. One of the secrets behind Ralph Lauren’s success is its ability to offer a consistent brand experience all over the world – from products to stores and even to post-purchase. By delighting customers in a consistent manner across all touch points in every Ralph Lauren store they step into, the brand has created an environment in which it continually exceeds its customers’ expectations. Building and sustaining a personality that is relevant and one that resonates with the customer base is one of the most difficult aspects of building a strong brand. Ralph Lauren, with its presence in diverse markets, a very wide brand portfolio, and interactions with diverse set of customers, manages to hold up well to this challenge of building a relevant and resonant brand personality. The future looks steady but not smooth sailing. Although the brand equity is strong, customer attitudes towards fashion (and especially apparel) have changed significantly. The definition of luxury has changed. The high-end fashion industry is going through a turbulent phase, which is characterized by cyclical demand and supply patterns, rapidly shifting consumer attitudes towards luxury and the gradual loss of “exclusivity” as a positioning platform. Ralph Lauren will not be immune to these structural changes. Ralph Lauren himself has been an iconic leader and flag bearer of the brand right from its inception. Not brash, but as the founder he has strong opinions and viewpoints about the brand’s strategy and future growth path. This has led to frictions with his top management, which is exemplified in the departure of the last CEO. Although it is important to have a strong influence as a founder on the brand’s positioning, crafting and building an effective senior management team is also critical to ensure longevity of a brand of such status. The appointment of the company’s first CMO in early 2017 is a positive step in this direction, but stability and cohesiveness in the C-suite will be watch-out areas over the next few years. Succession planning is not something that seems to be top of the agenda for Ralph Lauren. In the way he has run the company from the time he founded it, outsiders have grown through the ranks of the company to eventually take up senior leadership positions. Out of his three sons, one holds a senior position in the company, while the other two work in different industries (with one an aspiring entrepreneur through Dylan’s Candy Shop). To ensure a smooth succession planning, there is a need for the Ralph Lauren business to assimilate family members deeper. At one point a critical choice needs to be made about who would be at the helm of the company – a Lauren family member or an outsider. Both options could work, but then it depends on whether Ralph Lauren himself, fiercely proud of his name from the time the first tie he made, is willing to let go of his child (the brand) to be nurtured by someone from the outside. Brands that successfully withstand seismic storms stay true to their core. Although Ralph Lauren’s innovation pipeline has produced some strong products, it needs to continuously invest in its core product portfolio, so that it stays relevant and appealing in current times. If Ralph Lauren can maintain its credentials of being able to balance classics with new trends, it will have a future full of opportunities to look towards. If the core gets diluted, then it will find it difficult to withstand the competitive pressures and changing category dynamics.